I'm not good at writing these things. 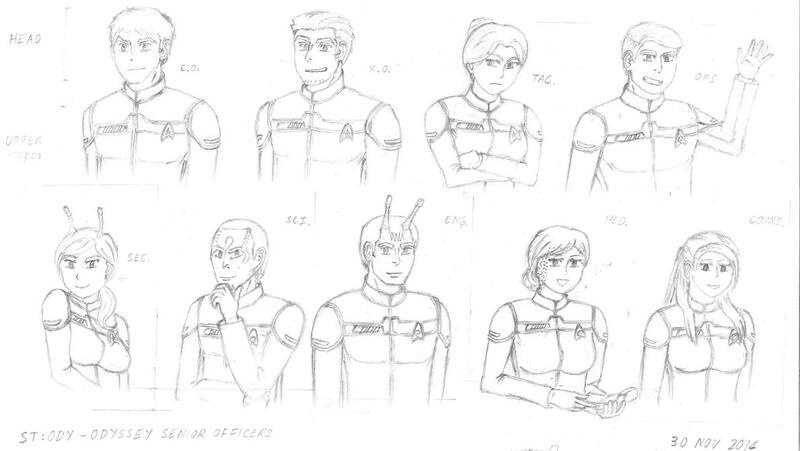 I've been attempting to draw a number of Star Trek OCs using the art style used in Gundam Build Fighters for quite some time, as well as the 2409 uniform designs from the Star Trek Online MMO. 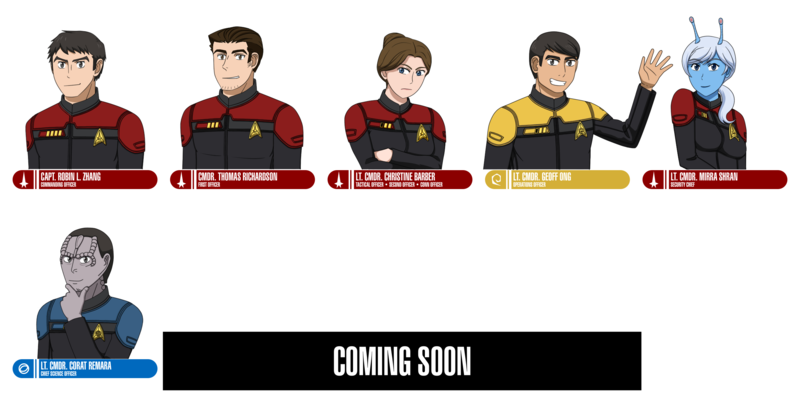 I've also finished inking/coloring the First Officer and Tactical Officer, and am almost done with the Operations Officer, but I'll wait until I've finished all nine members of the ship's senior staff before posting them here. Laws of thermodynamics as applied to life: 0 - You must play the game. 1 - You can't win. 2 - You can't break even. 3 - You can't quit. At first I looked at the pencil drawings and thought to myself "Way too light." But then I looked at your inked version of the Captain and the level of detail is awesome. Are you trying to make a fanfic? Oh and welcome to the team by the way! At first I looked at the pencil drawings and thought to myself "Way too light." But then I looked at your inked version of the Captain and the level of detail is awesome. Yeah, it's a tad bit light. However, before I imported the scanned sketches into Paint Tool SAI, I did increase the contrast so that I could make out the finer details. 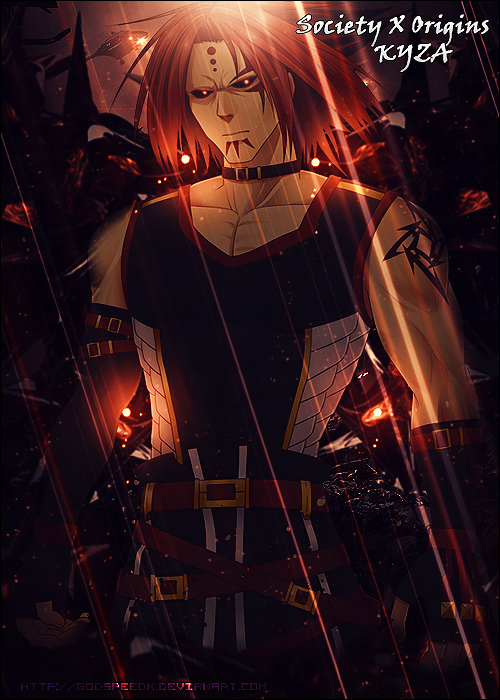 I must've accidentally uploaded the unadjustmented version to dA. Are you trying to make a fanfic? Sort of. I've been working on adapting the MMO missions into individual story episodes for a hypothetical TV series, or possibly even a fan-made anime. So far, Season One covers the Klingon War storyline, while Season Two consists of the Romulan Mystery, the Secrets of Nimbus and the Reman Resistance story arcs. At the time of writing, I'm 1/3rd of the way planning out Season Three, which will cover The 2800 (aka the "lost" Dominion fleet that disappeared into the Bajoran wormhole) and the Breen/Deferi conflict. Nice, can't wait to see how the Enterprise is portrayed (or whatever ship they are in). Actually, Tokyopop published four volumes of Star Trek: The Manga between 2006 and 2009. The first three was based on The Original Series (Kirk, Spock, Bones et al), whilst the fourth volume was based on The Next Generation (Picard, Riker, Data, Worf et al). Captain Zhang and co. are assigned to the USS Odyssey, an Intrepid-class Long Range Science Vessel and the last of her kind by the time of my fanon series' setting - it just so happens to be the same class of ship as the more-famous Voyager. I drew up a Master Systems Display (MSD) for the Odyssey, and I would love to share it with you guys. But I'm not sure where I would post non-manga art on these boards (or whether I should just PM you guys with the URL). As for the Enterprise, because my fanon is based on the official Star Trek Online MMO continuity, the Enterprise-F is captained by an Andorian named Va'kel Shon. Ah, Starfleet Academy? I went on a YouTube binge one lunchtime watching a playthrough! Now that you mention it, there are indeed some similarities between M'Giia and my Security Chief (Mirra Shran). ASIDE: Mirra as Security Chief was a bit of an accident - when I first started playing Star Trek Online, she was one of the default starter Bridge Officers available to new players who completed the tutorial. Later, I was able to recruit other BOffs of the species and genders I wanted, but by then I had grown quite fond of her presence, so I kept her in my crew. Also, as her surname suggests, one of her ancestors is Commander Thy'lek Shran from the Star Trek: Enterprise TV show. But in all seriousness the inked and coloured picture has exactly the same art style used in Gundam Build Fighters (and Try by extension)! I love it! Well Done and good luck with your project, I'm not a star trek fan but I adore the art style so I'll check this topic out for updates! The colored character seemed neat and proper and well done, I like the simplicity of it. Moreover, I notice the X.O has that Ryker's hairstyle and a bit of his epic beard of manliness, is that on purpose? Thanks for the recommendation. I'll check it out someday. The colored character seemed neat and proper and well done, I like the simplicity of it. Moreover, I notice the X.O has that Ryker's hairstyle and a bit of his epic beard of manliness, is that on purpose? The appearance and personality of the XO, Cmdr. Thomas Richardson, is loosely based on a good friend of mine, a great chap with a mild stubble. When I realized how similar he was to Riker, I decided to develop his fictional counterpart as being the confident and steadfast Manly Man foil to the Sensitive Guy captain. Of course, the difference between Riker and Richardson is that Riker was a bit of a womanizer, while at the start of my fanon, Richardson is already engaged to his long-time girlfriend, the Odyssey's counselor. Ah haha yeah it was to much of a coincidence not to be Will Ryker. Wouldn't worry too much about that, I recall Riker being with Deanna Troy at some point.. or someone else, I can't quite remember well. Still, that didn't stop him from getting laid with the entire galaxy anyway. Even the Klingon ladies fell for his epicness in an episode I remember. Yeah, Riker and Troi briefly dated prior to the start of TNG, and they broke up when Riker was reassigned and had decided to focus more on his career. They would eventually rekindle their relationship in Insurrection and get married by Nemesis. Yeah I always thought those two were too similar. Ryker was basically a less reckless and less ambitious version of Kirk. With great beard, comes great responsibility. Althought, while Ryker is awesome, if you start making the fanfic I think I'd be more interested in the originality of the characters, generally in Star Trek characters tend to be all very different from each other and with personality traits that stand out a lot, to make their cohabitation in the ship more interesting I think. Some are very exaggerated, like Data or Worf. Althought, while Ryker is awesome, if you start making the fanfic I think I'd be more interested in the originality of the characters, generally in Star Trek characters tend to be all very different from each other and with personality traits that stand out a lot, to make their cohabitation in the ship more interesting I think. Agreed wholeheartedly - that is the beauty of IDIC. I'll be PMing you with some stuff in just a moment. Some are very exaggerated, like Data or Worf. Flanderization, especially of non-human characters, makes it easier for the writers to make social commentary on the "human" condition in Trek. Worf is a particularly interesting case because his passionate and morality-driven strict adherence to an idealized version of honor is actually the exception rather than the norm compared to other Klingons, who are portrayed as little more than Proud Warrior Race thugs (a case of My Species Doth Protest Too Much).